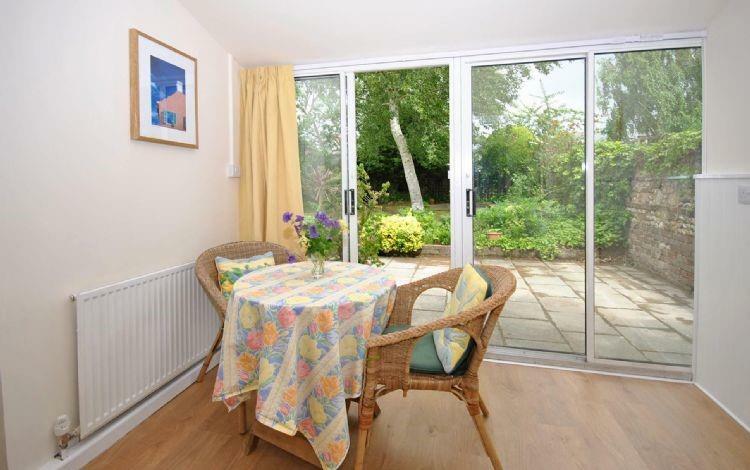 Wisteria Cottage is a set just to the east of Chichester city centre and is within about a 20 minute walk of the wonderful selection of shops, cafes, bars and restaurants the city has to offer. The location is also very convenient for transport links, so the house makes a great base from which to explore the south coast of England, with Chichester also having a rail link direct to London. The Goodwood Estate, now famous for its horse racing and motor events, is just a few minutes’ drive away. 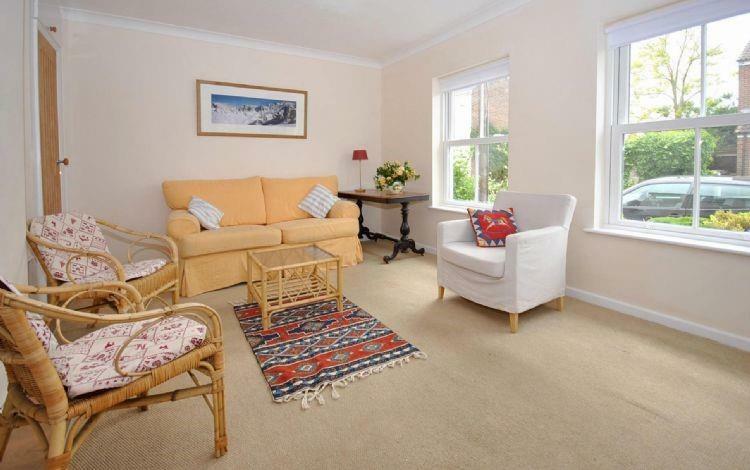 Wisteria Cottage is a beautifully renovated Chichester town-house which was completed in 2012. It has a small south facing front garden and large secluded walled garden behind the house, with garden furniture in a sunny corner for the afternoons and evening sun. 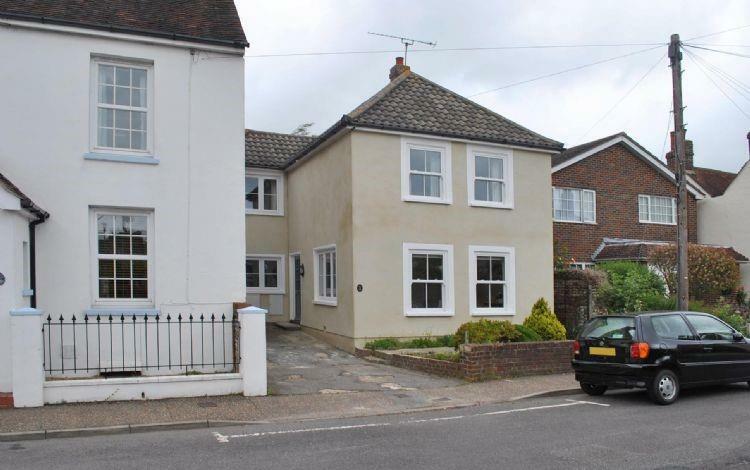 The house has a bright and spacious south facing sitting room at the front. 4.8m x 3.6m. TV and DVD. 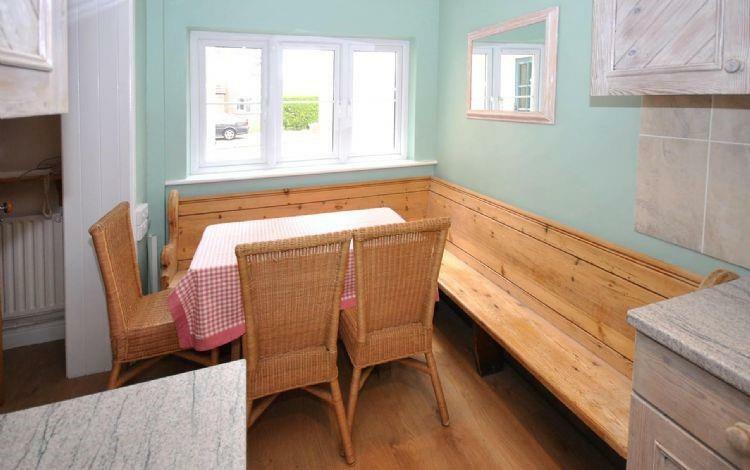 The kitchen/breakfast room has a feature L-shaped bench seat made from an old church pew in the dining area. 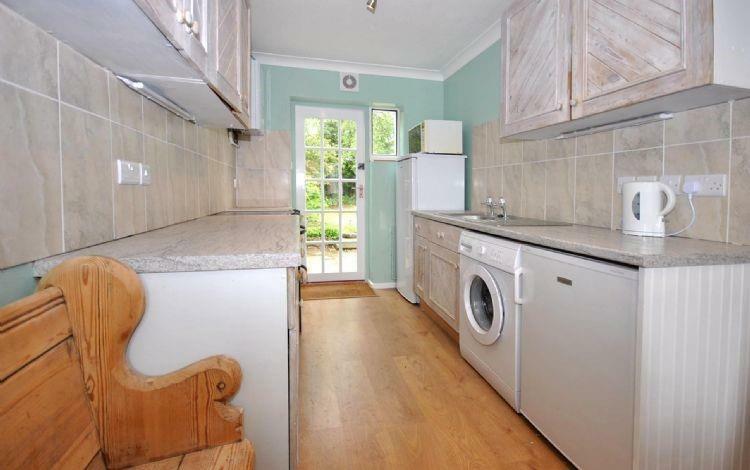 There is a full range of kitchen units equipped with a kettle, electric cooker with oven and ceramic hob, microwave, washing machine, deep freeze and all the kitchen utensils you should need. 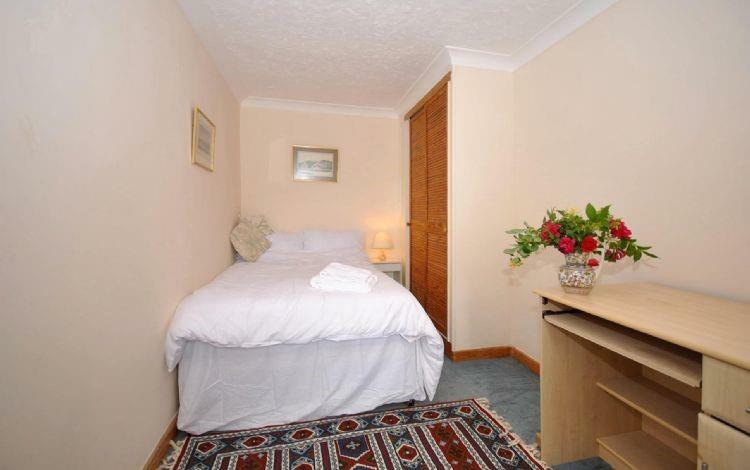 On the ground floor the “Garden Room” is an en suite bedroom (4 ft. double bed) with wardrobe. 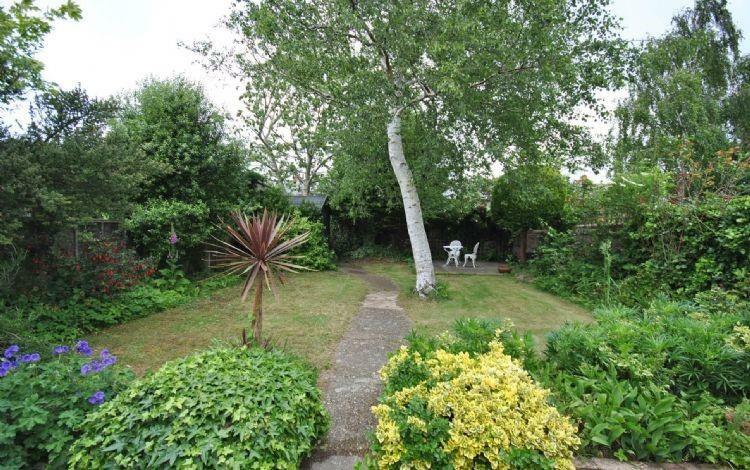 This opens to a lovely sitting room with sliding doors leading to the mature and peaceful back garden. 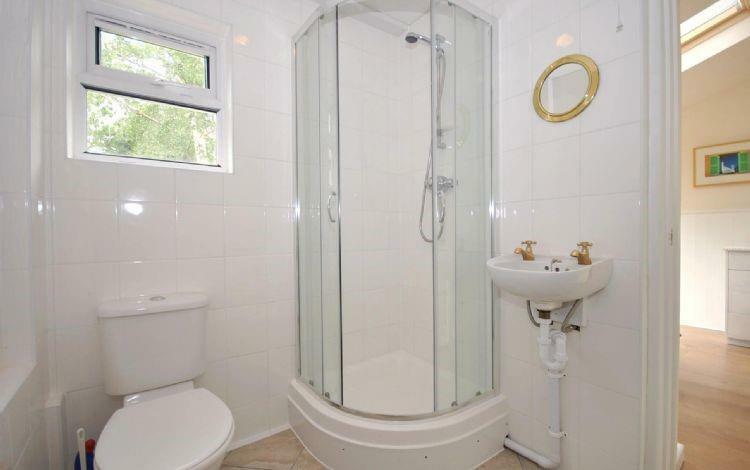 En suite shower room with shower, hand-basin and wc. 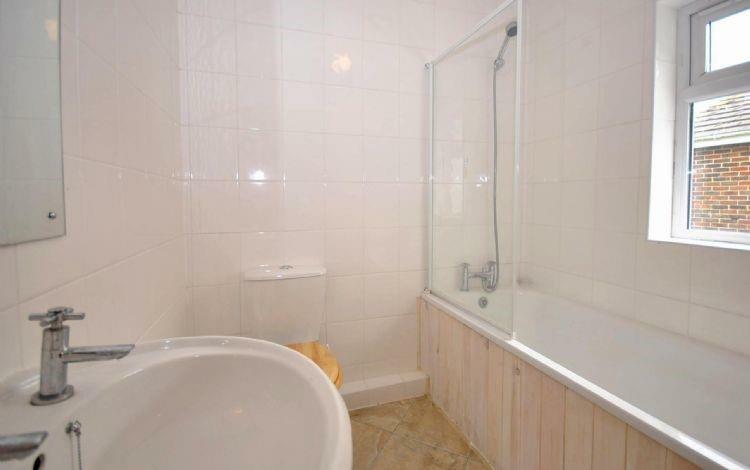 On the first floor there are 3 more bedrooms and a family bathroom which has a shower over the bath, wc and hand-basin. 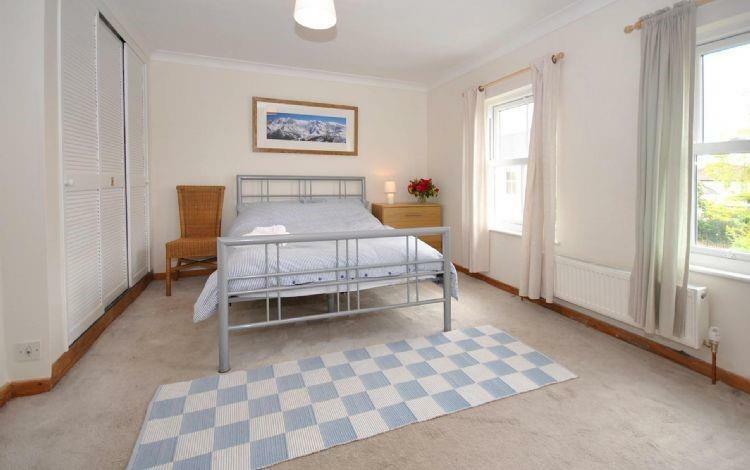 There is a really large double bedroom (4.8m x 3.7m) with 4’ 6” double bed and big wardrobe. This is a very light room with 2 south facing Victorian type sash windows. 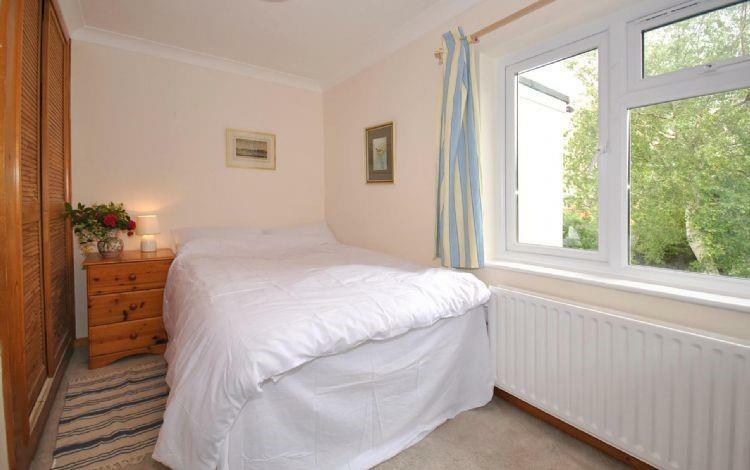 The side bedroom is south facing with a 4’ double bed and large wardrobe. 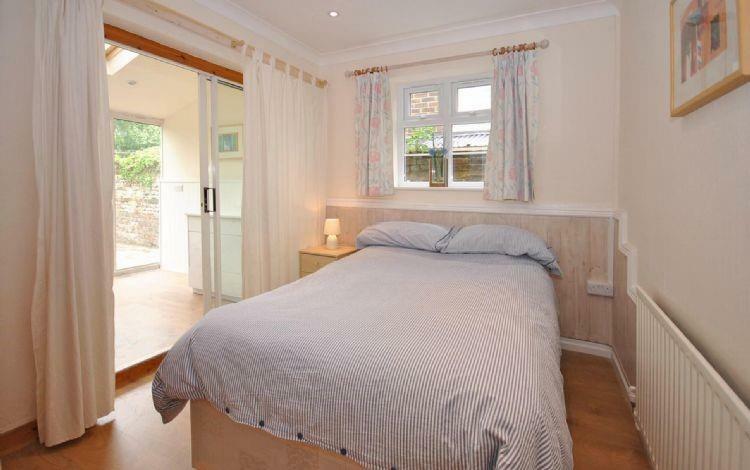 The rear bedroom overlooks the garden and also has a 4’ double bed. Large wardrobe. Chichester is a historic cathedral city with strong Roman connections and has an enormous array of things to do and places to visit. These attractions include the internationally renowned Chichester Festival Theatre, attracting actors and visitors from all over the world, the beautiful cathedral in West Street and various museums. The city is blessed with a variety of beautiful architecture where great care having been taken to preserve its character. The ancient walls surround the city centre and one can walk along them through various scenic parks, well stocked with pretty flowers. There is a thriving tennis and squash club, along with various fitness and health clubs and also an interesting selection of shops and restaurants, the latter offering excellent choices for the most varied culinary tastes. Just to the north are the stunning South Downs, with lovely rolling countryside and as well as several Downland villages. There is the world famous Goodwood horse racing track to visit, along with the motor sports events held annually. Golf and polo are played at Cowdray, near Midhurst. The Weald & Downland Open Air Museum offers a wonderful family day out with lots of ancient crafts displayed.